For Josephine Ellershaw, the Tarot has been a constant life companion on a personal journey that now spans four decades. 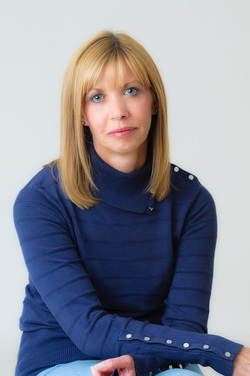 Alongside her business background she has many years experience providing readings, healing, and metaphysical guidance to an international clientele. She's the author of the international bestseller Easy Tarot: Learn to Read the Cards Once and For All! 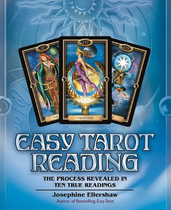 Easy Tarot Reading: The Process Revealed in Ten True Readings, both published by Llewellyn, and co-author of The Chronicles of Destiny Fortune Cards, with Schiffer Books. She lives in North Yorkshire, England, with her family and large menagerie of pets. Hi, I'm Josie and welcome to the site! I'm a professional Tarot reader, mentor, and author of the Easy Tarot books, published by Llewellyn. For the astrologers amongst you, I'm Libra in Western astrology, or Virgo in Vedic astrology (Taurus Moon, Mrigashira Nakshatra), and an INFJ, if you follow Myers-Briggs! I've been using cartomancy for forty years now. My style of reading is predictive and more along the lines of European methods, as I transferred across from divination with playing cards to Tarot de Marseilles, and later RWS decks. This may explain why I use large spreads and my reading style is more similar to Lenormand, if you're familiar with it. My reading style is practical with a straightforward response, as I found that most people want clear answers and predictions in their reading. From an early age I was interested in anything esoteric, metaphysical, paranormal, or spiritual, and read as much as I could lay my hands on, or that my parents would tolerate - they used to be quite worried about my choice of reading material! I started doing readings for others from the age of fourteen, including some of my teachers at school. Unlike today, there was very little information available at the time. Tarot has always been an important part of my life running parallel with everything else, but I didn't appreciate that one day it would be my full-time profession or that I'd have books published on the subject. It always felt as though I lived my adult life with a foot in two worlds, one spiritual and people-centred, (doing Tarot readings, spiritual healing, counselling, life coaching, creative writing and music) and the other in a completely different dimension with the cut and thrust of the business world. 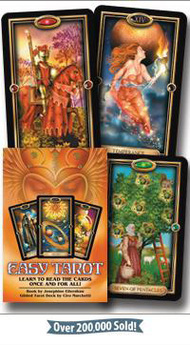 Alongside Tarot reading I also have a business background having been an MD of various companies for a good number of years. This provoked interesting and surprised reactions from conventional business contacts, (I've heard all the old jokes) whilst Tarot clients used to remark, "But you look so normal." Friends used to refer to me as the psychic in a suit. So a little on that, briefly... At the age of twenty-six I was busy traipsing round West End theatres with my musical in a carrier bag, (but that's another story) when my Dad had a heart attack and overnight found myself in charge of his newly opened business. It was trial by fire, but failure isn't an option when the stakes are so high. I also discovered I was quite good at it and received a business award from Cosmopolitan magazine for my efforts. Since then I've had various companies in manufacturing, property, marketing and personal development, and a health club - some simultaneously, ranging from ten to forty employees and a sales force of five hundred. I'm particularly good at turning around failing businesses, so something of a troubleshooter. Yep, I can be a tough little cookie when I need to be, just your regular Queen of Swords :) If you're in business I completely understand the score - and I love doing readings for business people! I divorced when my children were quite young and juggled businesses whilst raising them as a self-sufficient lone parent, then caring for elderly parents... it might come as no surprise that I burnt myself out - the real McCoy, stop-dead-in-your tracks stuff. You may think that's when I gave up to concentrate full-time on Tarot, but I went back and did it again - twice more actually, just to be sure! There's no telling some people. Five years ago I had the opportunity to sell my last business when a number of life events occurred simultaneously - as life tends to do when the Universe tries to tell you something: my son went professional in the music industry, my daughter was at University, the lease on the business premises was due for renewal, the recession was rattling along, and I was writing my second book through the night, yet again. My cards said it was a good time to sell, so did my accountant, and Howard my astrologer had encouraged it for years. I think it would have taken a crowbar to get me out of there otherwise, the Universe probably knew that and delivered accordingly. Since that time I've been working from my home here in North Yorkshire, finally full-time with my Tarot business clients, students, writing... and loving it. I often wonder how I fit the rest alongside. 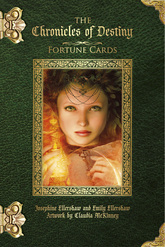 The two paths of my life finally converged and integrated, through a life-long wise and trusted friend, my Tarot. So, that's the potted version of the rest of my background. I've been reading professionally for many years, set up the site in 2005 and wrote "The Tarot Technique" to try to help others who were struggling to come to grips with the cards. Over the years I'd lost count of how many people had been for a reading and told me they'd tried and failed to learn to read the Tarot, enough that one day I decided I wanted to do something about it. As you may have gathered from the above, when I'm passionate about something I throw myself into it. Tarot is such a wonderful and empowering tool that I wanted to be able to help others to benefit from the same wisdom and profound insights that Tarot brought to my life. I sent the manuscript to Llewellyn and then everything moved very quickly. The name was changed and "Easy Tarot" was launched. Llewellyn blessed me with two wonderful editors for both books and an amazing team - I'm eternally grateful for their patience and hard work. Easy Tarot became an international bestseller, now available in six languages, and there's never a day when I don't count my blessings. The follow-up book, Easy Tarot Reading, was written in response to reader requests, to help with the transition as you start reading for others. I love hearing from you, whether about how the books have helped, introducing you to Tarot, or with some personal insight; it's so rewarding to know when you've managed to reach out and touch someone's life in a positive way. The next challenge was how to make cards even easier for you to read, removing the elements that some people struggle with but without sacrificing accurate results. My most recent work, The Chronicles of Destiny Fortune Cards, was a joint venture with Emily Ellershaw and features artwork from Claudia McKinney. I loved creating this set and am so happy with the end result! We hope you love it too... if you're not familiar with Chronicles please hop on over to the dedicated site and check it out. So this is me, my background, and my journey here to date... and more than enough about me, I'm sure! I hope it provides a flavour and better insight as to who I am and how I might be able to help you; whether for a personal reading, as a private student to improve reading skills, a reader of my books, or just becoming curious, I look forward to hearing from you and working with you in future. Through the website, books, and private clients, I've now introduced hundreds of thousands of people into the world of Tarot, so maybe I can help you too! If not me, then I hope you find the Tarot reader or teacher just right for you, because Tarot is a journey that can forever change your life.